What if 20 picturesque acres of land in the center of your town became available, and you and your neighbors got to decide what to do with it? Well that’s the question being asked in Pittsford, a town that straddles Route 7 between Rutland and Brandon. The place considered by most to be the village center is where the highway makes a crazy hairpin turn — the kind truck drivers must hate. The town’s library and post office are located there. There’s also a flooring store, a pub, a small grassy area and Kamuda’s Country Market, a mini grocery that sells just about everything. And there are lots of historic houses. But this story is about the old Forrest Farm — its 18th-century farmhouse, 19th-century barn and the 20 acres it sits on. The old Forrest Farm is in the village center as well, and right now it’s waiting to become whatever Pittsford’s nearly 3,000 residents want it to be. Robert Forrest, who’d farmed the land for many years, died in 2016. Last spring, his family sold the property to Baird and Betsy Morgan, who live down the street. According to the town clerk, the sales price was $187,000. The Morgans say they bought it to protect the land from haphazard development, and they thought their town could use a community space. But Baird Morgan admits the couple has gone as far as they can on their own. "First of all, Betsy and I aren't developers ... What we’ve done is way beyond our skill set," he says. "All we wanted to do was get the property, put a stop on it and then let the town decide — the townspeople decide — what they want to do." So the Morgans created a working group and renamed the property "The Village Farm." On Jan. 18, the group held a public brainstorming session that nearly a hundred people attended. Facilitators broke the crowd into three groups to talk about what people wanted, as well as what the town needed. Those throwing out ideas on economic and agricultural opportunities sat on one side of the school gym, while those talking over housing opportunities sat on the other. Downstairs, another group tossed around ideas about how to use the farm to improve social, recreational or education opportunities in town. “I’d like to see a coffee shop, a wedding barn and a plug-in station for electric cars,” suggested Pittsford resident Rishi Connelly. Another woman thought the town could use a place for older residents to exercise and get together. A teen center and day care center were also mentioned as possibilities. Many at the meeting, like Steve Spensley, were excited about the farm's potential as a teaching tool for local school children. "I mean the sky's the limit when it comes to what we could do with it," Spensley said, smiling. "We could create a greenhouse off the barn," suggested one man. "Or we could use the house as a place to hold classes where seniors taught younger kids," suggested one woman. "You know, they could teach kids how to knit, can fruits and vegetables, sew and use a spinning wheel — old-time activities that are disappearing," she added. Bruce Pyle said whatever people decide, he hopes the open farmland and historic home can be preserved. “To me it’s a real treasure. And when I think of Pittsford, I mean ... as I drive through town every day on my way to work, I see that farmhouse. You know, and it's — that's our town. To me, that’s our town,” Pyle said, nodding. Pyle and others felt one way to protect the land would be to set up a community garden. Others liked the idea of an indoor farmers market or an agricultural incubator where new farmers could start out and get help. One man suggested setting aside some acres to grow hops since there are so many microbreweries in Vermont. That led to someone else quickly suggesting a brew pub. Pyle says traditionally many towns were built around farms. But today, he says most of those farms are gone and he’s grateful to the Morgans for their gift. Paul Costello, executive director of the Vermont Council on Rural Development, helped facilitate the meeting. “I love this stuff,” Costello said, grinning. "My mother was from Pittsford, so it feels very much like home to me. But every town in Vermont is wrestling with how to reinvent itself and its economy, and there’s simply no room for complacency,” Costello said. Looking across the crowded meeting room, Costello paused. "You know, communities often rally together to stop something from happening. And what’s cool about this is it's an opportunity to envision something you want to happen,” said Costello. Rishi Connelly thinks so. She moved to Pittsford in 2009 and admits the town can sometimes feel a bit disconnected. Baird Morgan hopes so. He says its been encouraging to have so many young people involved in the working group and see so many 20-somethings and 30-somethings at the the public meeting. “Let’s flip the coin here and say, ‘there are some good thing happening," said Morgan, adding, "I'm really looking forward to hearing what the town decides." 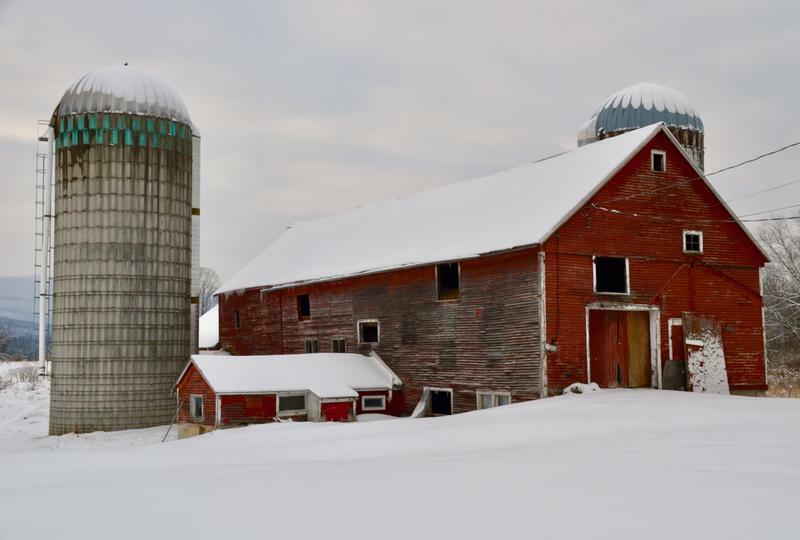 The Village Farm working group will gather all the ideas from the recent meeting and will host a second public forum on Feb. 8 to select priorities and decide their next steps.